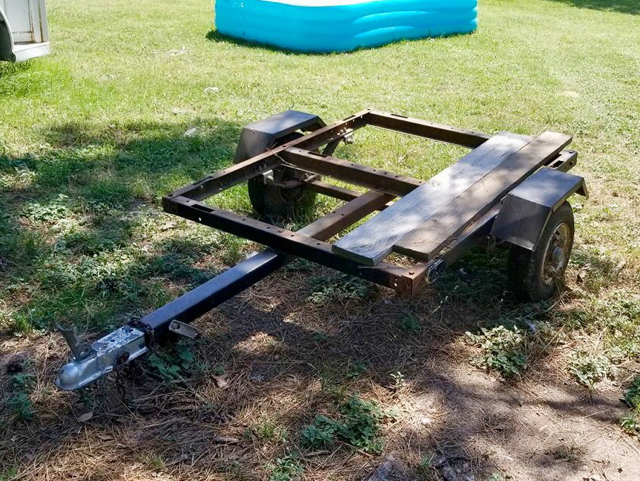 Bought this trailer for next to nothing this past weekend. I have some ideas but would really like to see what everyone is pulling. 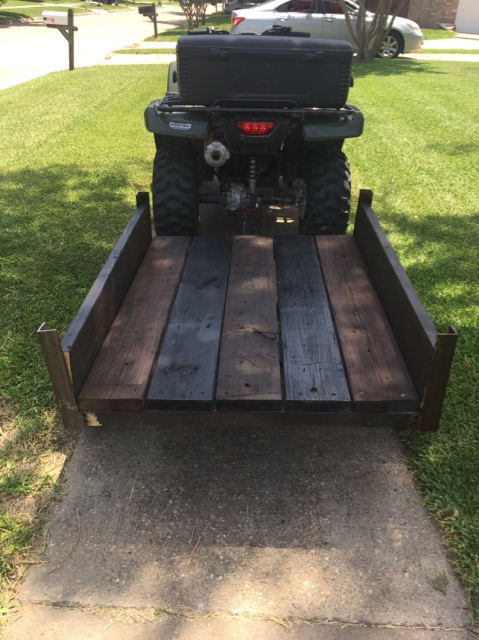 The trailer deck area is 4X4. Did you pick that up in Waller area? I saw it on Facebook, came back an hour later and it was gone. heck of a deal. You’ll appreciate the atv tires. 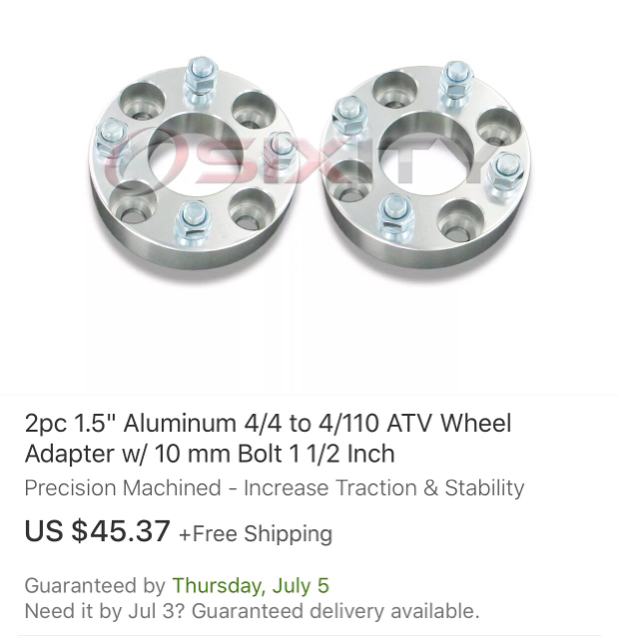 They make four bolt atv wheel that will match up to your trailer. Also they have adapters on amazon. The black one with the ATV tires you posted above is mine. BEST build I ever did when it comes to helping on the lease and around the place. The ATV tires really help with weight. 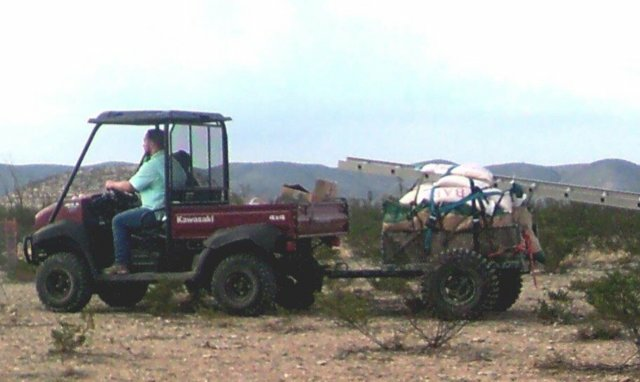 I can put 800 pounds of corn on it and haul it up the side of a mountain out west like its not even there. Go all-out now and it will last you forever. 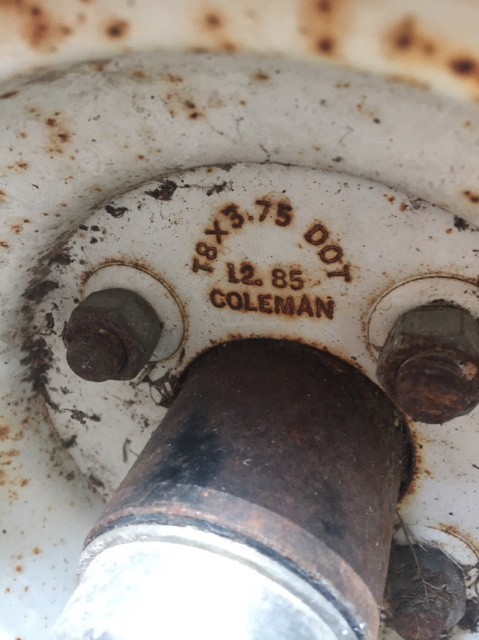 I have an identical trailer that I had a 65 gallon water tank on but the tank fell off last month and split. I like your idea and may do the same. 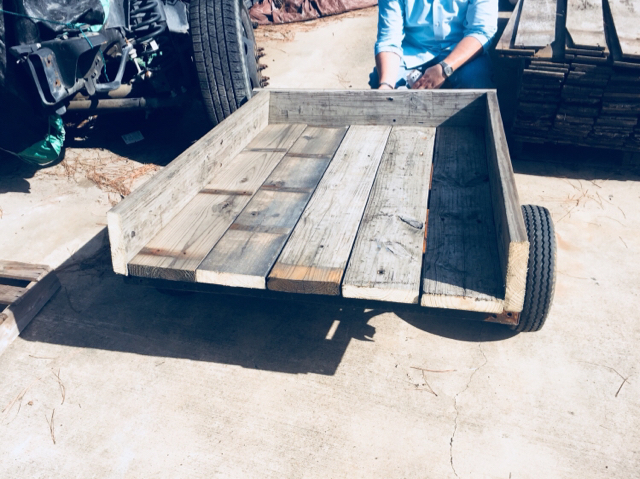 This is the trailer I use right now, but I’m out west as well so it eats up those little street tires, breaks tail lights and it’s just not very heavy duty. 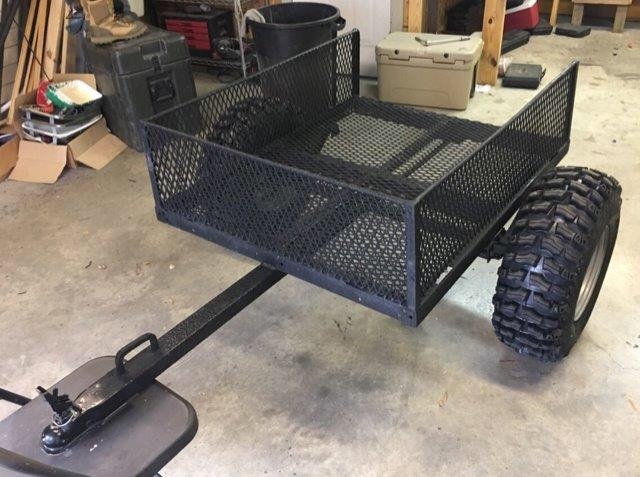 I need a tough little trailer ! Yours is the goal! 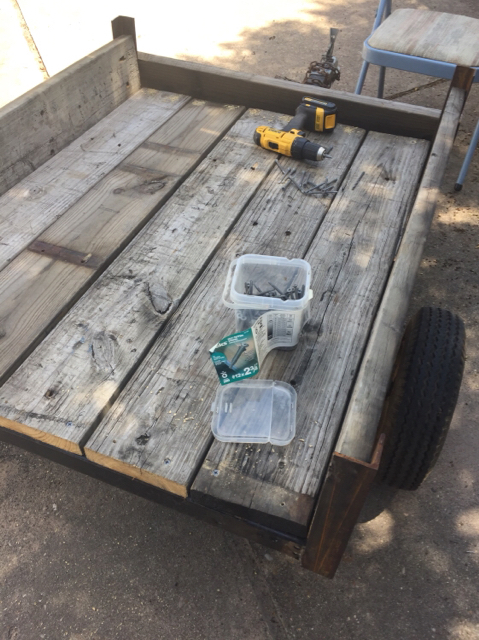 I have the same trailer you are using now and it bounces badly on the rough ranch roads going to build something my self if I can find a cheap trailer. Your Honda rims are probably a 4/110 bolt pattern. 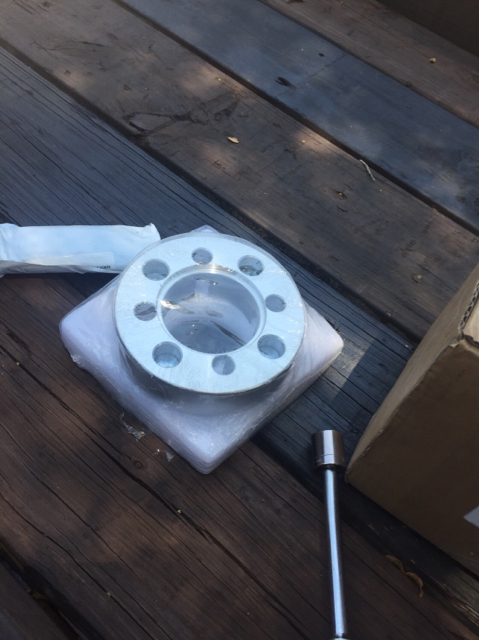 That is 4 bolts on a 110 mm bolt circle. 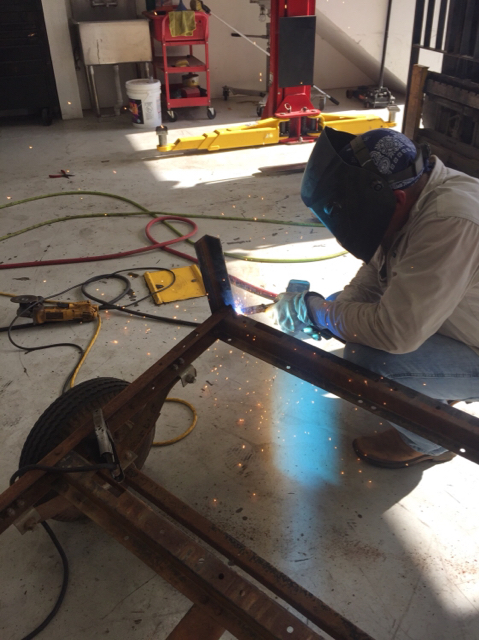 Most of the trailer hubs I’ve worked with are 4/4 which is 4 bolts on a 4 inch bolt circle. So the Honda bolt pattern is slightly larger than the trailer bolt pattern. Also, the center hub on the trailer hubs I’ve used are larger than the Honda rims. 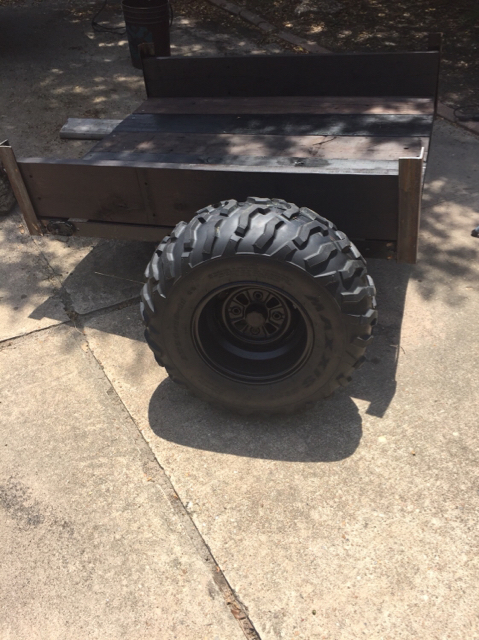 The options are buy wheels that will fit your hubs and tires, modify the Honda rims to fit the trailer hubs or use wheel adapters. 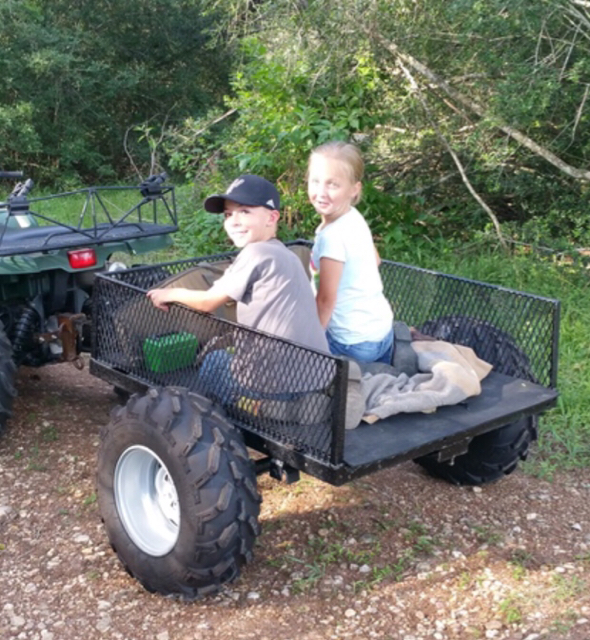 You definitely want ATV tires for rough terrain. Thanks a bunch man. I’m going to look into adapters. 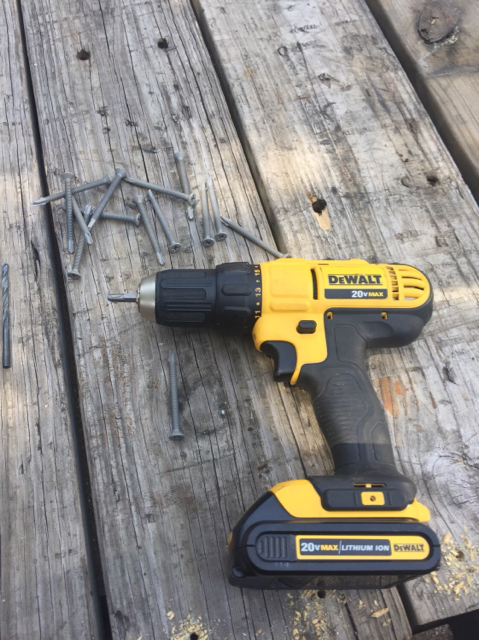 There was a thread on here of a trailer build and he had a link to adapters he bought off of Amazon do a search and bet you can find it. Tons of options for thickness and hole spacings on eBay. the green one above is the one I built from a Harbor Frieght trailer 4'x4' Best thing I have done for filling feeders. Used 1x6 treated decking. 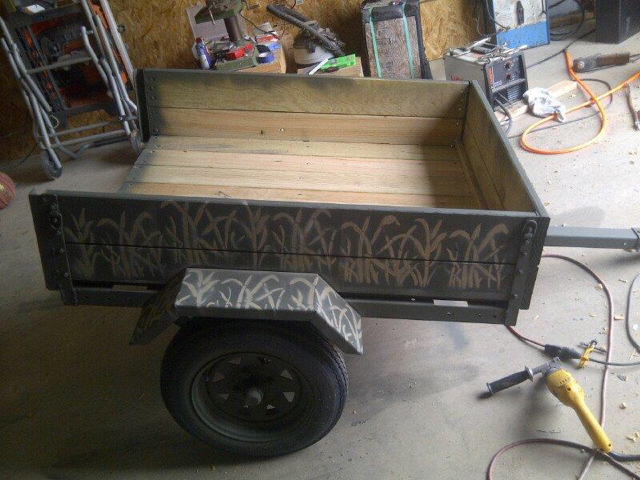 Had it for a few years now and I going to use it again tomorrow, have 1200 pounds of corn in the back of the truck now. Last edited by Bowtech32; 06-29-2018 at 01:50 PM. Great build ! How much corn can you put in it at one time ? These are next on my list. Still waiting on my buddy to weld up the corners (angle) so I can add the decking / siding. 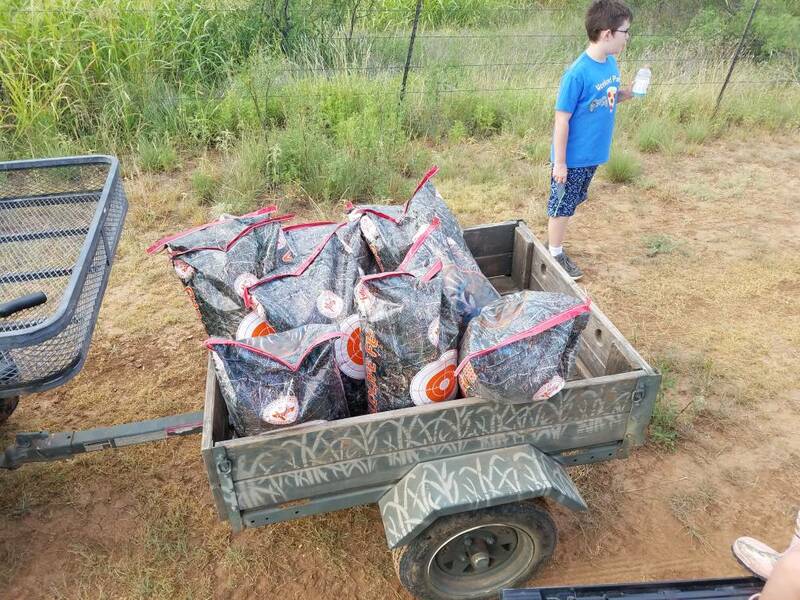 Trailer is rated just a bit over 1000 pounds, here is a pic with 9 50 pound bags of corn. I have had 20 bags in it before, but 20 bags is about all you can get in it without them sliding out. sounds great man thanks. My feeder holds 13 bags so we are good !!! 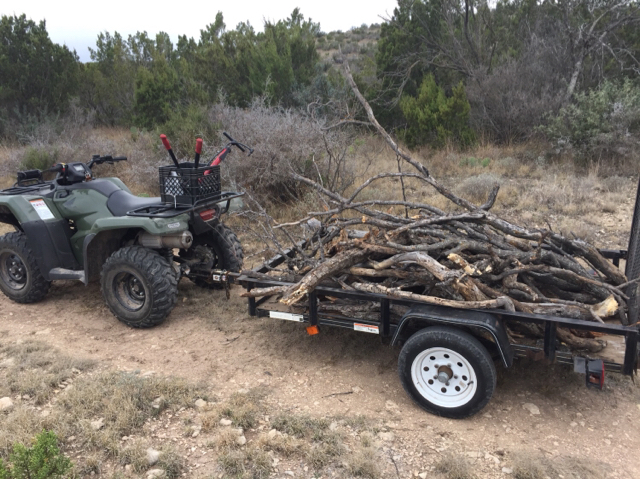 Did some wood cutting today. Gotta weld the corners and oil the wood. Add some strap rings and extras !!! Currently my 2 favorite quad trailer pics! Hopefully many more to come. 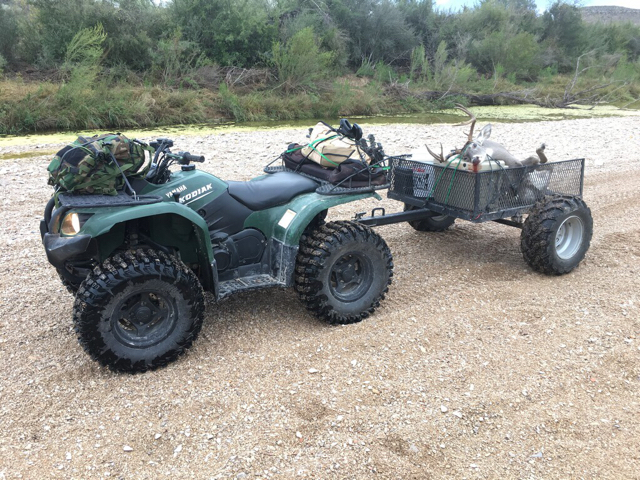 You can’t go wrong by adding one of these trailers to your hunting tool-belt. There is some figuring needed to make sure the wheel off-set as well as tire and spacer thickness all works to get the tire far enough away from the trailer for clearance. Honda rear wheels are 4:110 and dished out completely, making them perfect options. I’m excited to get it done. 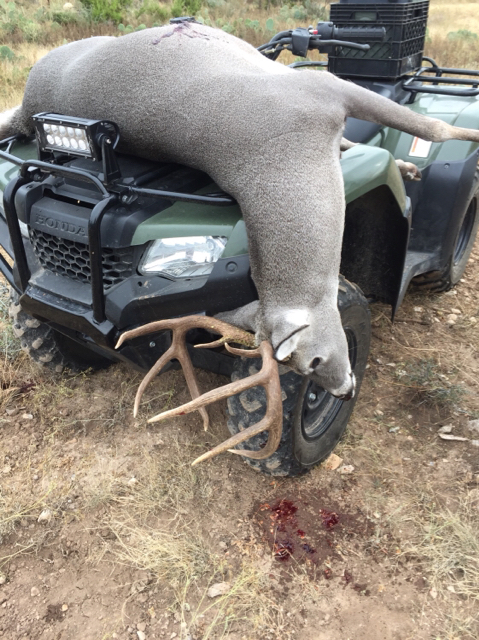 I’m not a youngster and almost died loading this one !!! Those days will be over! Yep! One of the many benefits...saves your BACK!!! hopefully this afternoon or tomorrow I'll have a few minutes to work on it ! 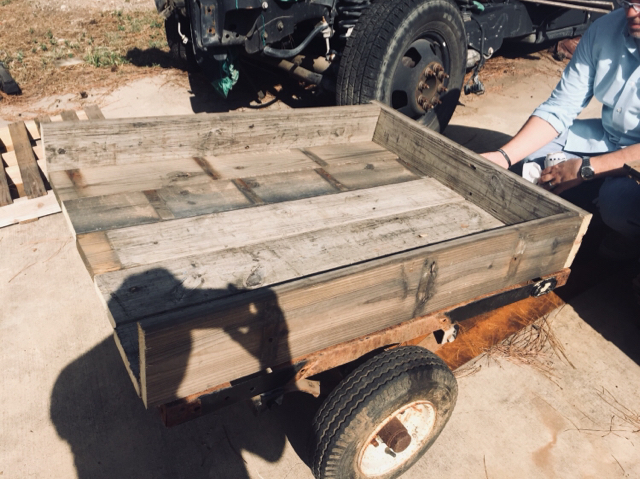 I've inherited a small trailer I'm go to fix up and start using. What will I have to do to get it registered? Making progress!!! Have the decking attached but not the sides. Playing with some stains. Any ideas on wheel adapters ??? Just ordered these, should be here Monday, I hope they fit !!! !